You can buy our cakes direct from us via our online shop and on pop-up Bee Shack shop days. 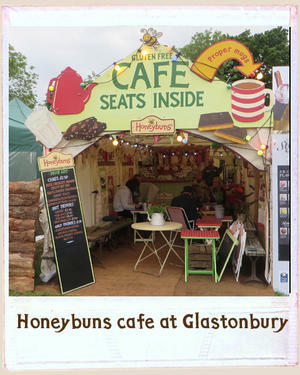 You can also find Honeybuns in cafes, delis and farm shops all over the country. Because we use a network of wholesalers throughout the UK we often don't know who the end stockist is, but if you have a query regarding a stockist please do contact us. We're proud to be stocked in both John Lewis and Waitrose. 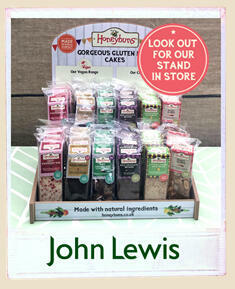 John Lewis have stocked our cakes in their The Place to Eat restaurants since 2005. They stock the Milk Chocolate Brownie, Lemon & Ginger Shortbread (also known as Snowy Hills), Peanut Blondie, Squillionaire, Oaty Coconut Bar with Dark Chocolate and Oaty Raspberry Bar, all in a new individually wrapped narrow bar size. Do look out for the lovely new Point of Sale stands in store. 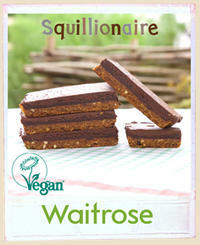 "We were lucky enough to try some of your (vegan) treats in John Lewis at the weekend and they were DELICIOUS," H.C.
Waitrose cafes and patisserie aisles usually have a selection of our cakes including Squillionaire, Oaty Coconut Bar, Cranberry & Pecan Flapjack, Milk Chocolate Brownie, and our decadent new Peanut Blondie. If you can't find us in your local store do let us know. And don't forget to share your photos with us! Honeybuns is coming to a Waterstones Cafe W near you! 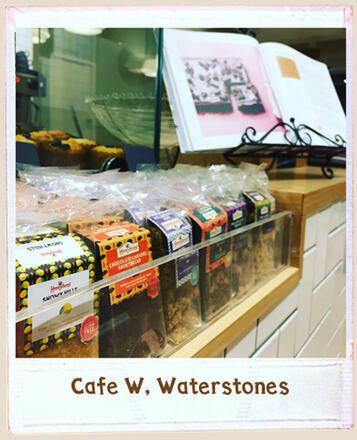 The recently relaunched Cafe W in Waterstones Cambridge is the first to stock a selection of our delicious gluten free cakes. In the coming months, they will slowly be rolled out across all the other Cafe W's nationwide so should be in a store near you soon! It's the ideal place for all book lovers to enjoy a coffee and one of our beautiful cakes. Look out for our book, Honeybuns Gluten free Baking, also on display at the cafe counters near the cakes, and available to buy in Waterstones. If you come across our cakes in any of the Cafe W's, then please do share your photos - we'd love to see them! Café W features great coffee and food from local suppliers, with free WiFi. 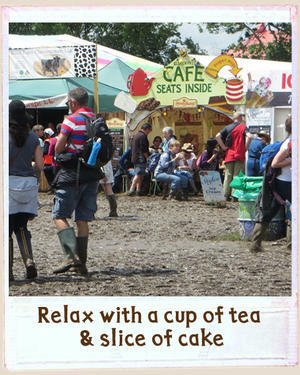 If you're heading to Glastonbury Festival, do come and visit our charming and quirky gluten free cafe. With china mugs, comfortable seating, hot and cold drinks, and of course our award winning gluten free cakes, it's the perfect comfy place to relax and recharge your batteries. This year we are showcasing our new range of cakes that also offer dairy free, vegan and refined white sugar free options. Find us in the Theatre and Circus field opposite the Astrolabe theatre. Thank you to everyone who shared their Honeybuns cafe photos with us on twitter, facebook or instagram tagging us with #HoneybunsYumTums or @HoneybunsBakery. Our five favourite photos have been chosen and winners contacted.